For in-store inquiries, use sku #2180641. 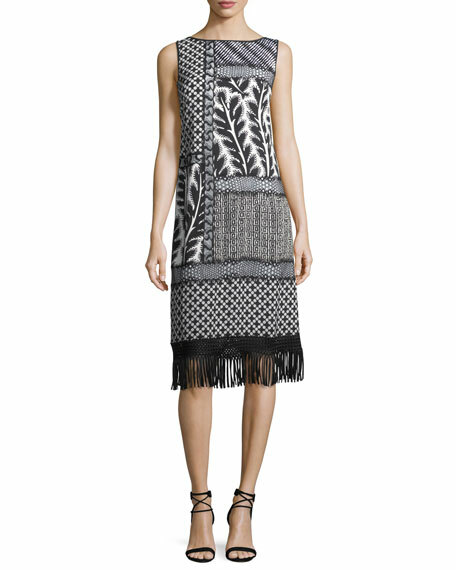 Balmain cocktail dress in checkered tweed with fringe trim. V neckline; double-breasted golden button front. Sleeveless. Hip flap pockets. Semi-fitted silhouette. Mini length. Acrylic/nylon/polyester/viscose/wool. Made in Bulgaria. 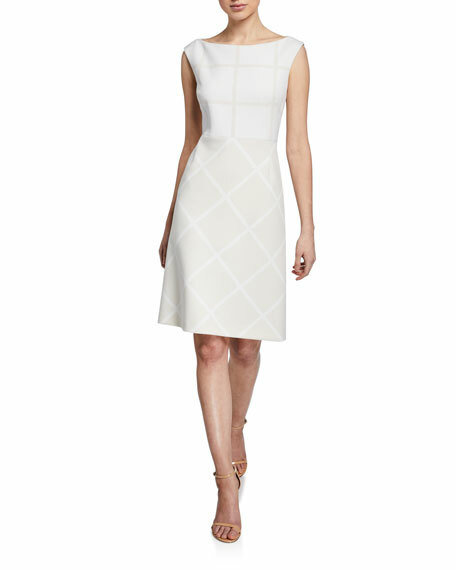 Elie Tahari "Lacey" grid-patterned two-tone dress. Approx. 14"L down center back. Bateau neckline. Cap sleeves. A-line silhouette. Knee-length. Straight hem. Hidden back zip. Polyester. Imported. 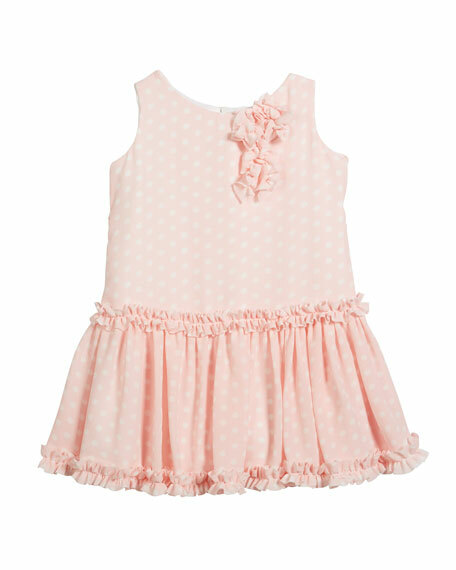 Helena "Pretty in Pink" dress in polka-dot pattern. Ruffle trim at chest, waist, and hem. Scoop neckline; hidden back zip. 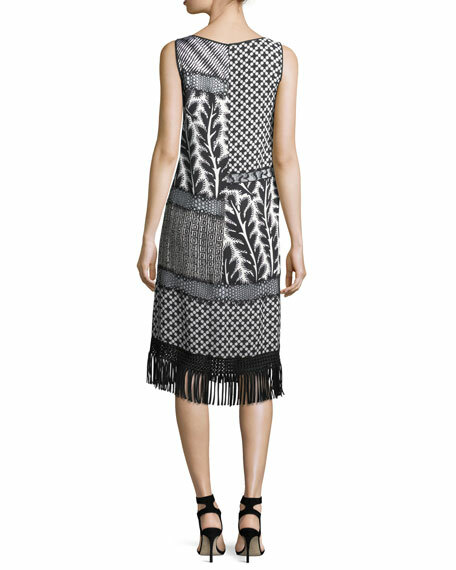 Sleeveless; wide straps. A-line silhouette. Self-tie at back. Polyester/spandex. Made in USA of imported material. 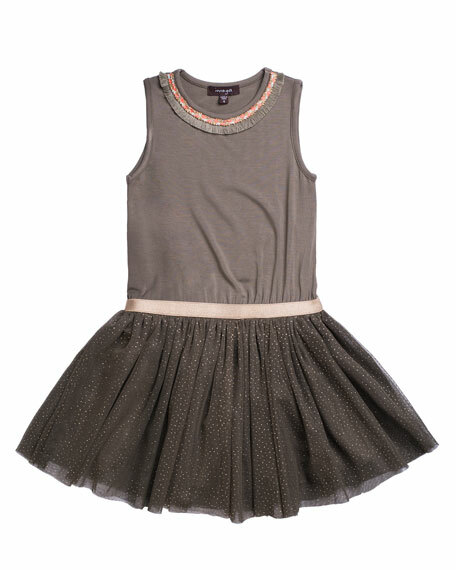 Imoga solid jersey dress with glitter mesh skirt. Crew neckline; braided and fringe trim at collar. Sleeveless. Metallic elasticized waistband. A-line silhouette. Body: viscose/spandex. Skirt: mesh polyester. Imported.